Powered by Mom Blog brings you a Tasty Alternative to Milk-Almond Fresh Giveaway and More! What do I mean by that? Well for starters we’re giving away $20 worth of Full Product Coupons for Almond Fresh. That means you get $20 of Almond Fresh products for free, it’s for the full value of the product. As someone who doesn’t drink milk I absolutely love Almond Fresh and I think it’s a really tast alternative to milk in fact I don’t much care for the taste of milk but I do like Almond Fresh! The “more” part is that Almond Fresh is giving away prizes daily on their Facebook page and a GRAND PRIZE of a KitchenAid appliance pack valued at $2000! You can enter on their Facebook page up to 5x a day! WOWZA! Read on to find out more on how to enter the giveaways! I love Almond Fresh and I use it in place of milk for almost everything! My two favorite flavors are vanilla and coconut oh the coconut is so darn good and I just recently started to use it in my lattes now! Yep no milk in my coffee or latte I should say it’s Coconut Almond Fresh all the way and I love it especially since I also use coconut sugar as my sweetener! That’s actually a mocha I made above with pure cocao, coconut sugar and yep you’ve got it Almond Fresh Coconut doesn’t it look good?! It tastes great, it’s now my top coffee choice I make at home and better yet I’ve really cut down on the fat and calories with this baby! I also make smoothies quite regularly and I’ll use either the vanilla or the coconut Almond Fresh for those. Here’s my raspberry, banana and spinach (yes spinach is snuck in there you can’t tell by looking at it or tasting it!) 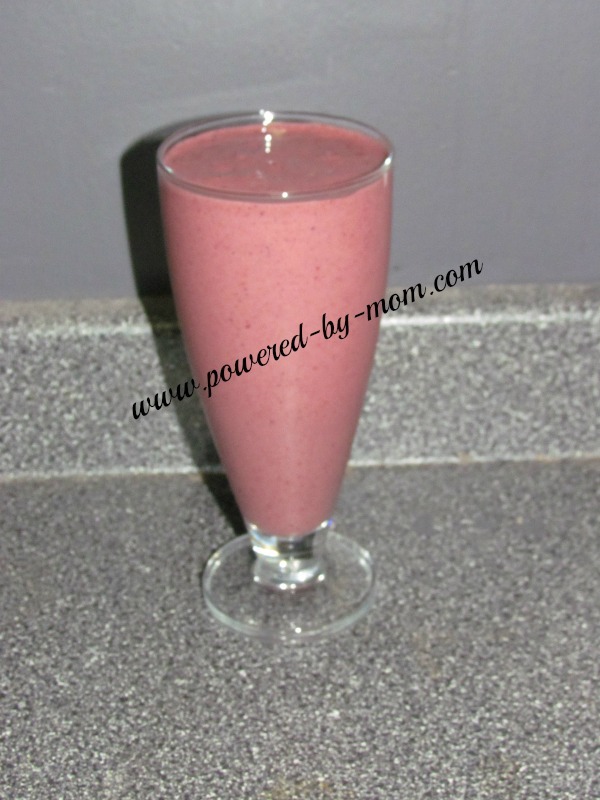 a smoothie full of nutrition and it tastes good too! Now go and enter our giveaway to win $20 worth of full product coupons for Almond Fresh and go and enter their BIG giveaway on their Facebook page for that KitchenAid prize pack and daily prizes too! The participating bloggers were not compensated for this post. We are not associated with any of the companies named above. No purchase is necessary to enter. Void where prohibited by law. The odds of winning are based on the number of entries received Open to Canada only, 18+ only. Confirmed Winner(s) (by Random.org) will be contacted by email. Winner(s) have 24 hours to respond before a new winner is chosen. No purchase necessary. Void where prohibited by law. The sponsor(s) will be responsible for product shipment to winner(s) of this giveaway. My blog is not responsible for product shipment/delivery. This event is in no way administered, sponsored, or endorsed by, or associated with, Facebook and/or Twitter, Google, Pinterest. This disclosure is done in accordance with the Federal Trade Commission 10 CFR, Part 255 Guides Concerning the Use of Endorsements. Entrants must only enter with either one email address, IP address and/or Facebook account, anyone found violating these rules will be disqualified. It is at the sole discretion of the admin of the giveaway if the winner has met the rules or not. I’d use it in my cereal, smoothies, and for cooking/baking. I would drink it straight. I would drink and straight, but I know it’s even better in a smoothie. I might drink it straight since I don’t tolerate milk anymore. I see a lot of tasty sounding recipes using it. I would drink it straight and I love smoothies with fruit and I would add coconut milk as well for that added flavor, one can add chocolate powder and mint for another smooth drink. 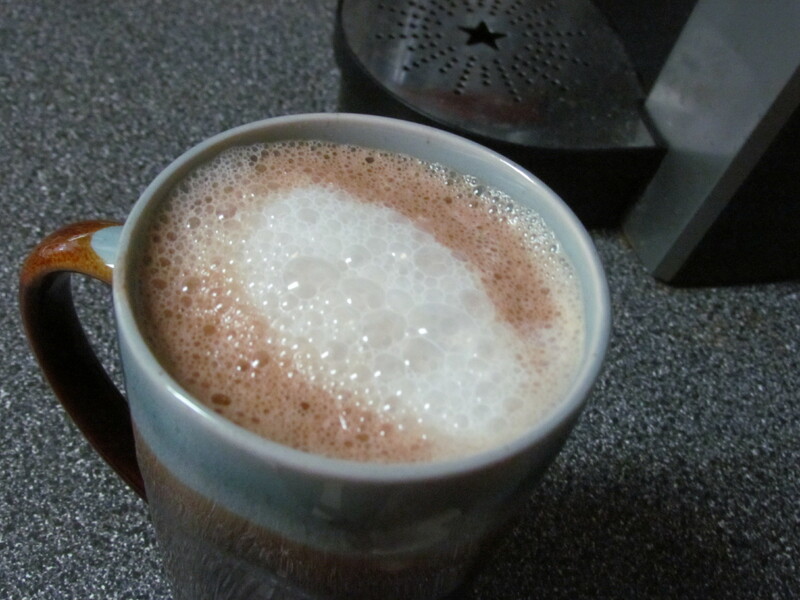 I like malibu and would mix hot choclate and almond milk for added flavor. Yes, I would have it straight. I would have it straight or with cereal. in a smoothie or in oatmeal, my toddler loves her oatmeal made with it. I have wanted to try this so I would try it all different ways to see which I like best. Use it for baking and my coffee. I would do both. my son is allergic to dairy so he already drinks almond milk and loves it in his green smoothies. I would use for my cereal or as part of a smoothie recipe. I usually use almond milk in hot or cold cereal and hot chocolate. I’d drink it straight and use it in baking. I never had it before but I would try it straight!! Straight up and with protein powder. I would try it straight but love it in smoothies and with cereal. I’d have it straight up!! Love Almond milk!! I love it straight but have also had it in coffee and baking, very tasty! Love it! I would drink it straight or have it in smoothies. I would try it straight, and if it’s too strong then I would use it in other things. I love milk. I’ve never tasted this so I don’t know if I’d drink it straight or add Ovaltine. Love Almond milk! It’s perfect in smoothies, and kids love a touch of vanilla or flavor in their cereal from it too. I have tried to drink it straight but I don’t like the thick texture. I think it tastes much better than soy milk . I would consider using it to cook with and make shakes and smoothies though. I would drink it straight as well as use it in my cereal. I would drink it straight, in cereal and use it in baking. I would try it straight. I’ve never had almond milk so it would be something very new to me. It sounds great. I’d have it with cereal or a little in oatmeal maybe or hot chocolate? Sounds great. I have never had almond milk so I would try it straight and with stuff. I’d definitely try with cereal and in my coffee. I have had it straight. Almond Fresh is delicious on its own, but I like it in cereal and pretty much anywhere I would use cow milk. Id have Almond Fresh straight and on my breakfast cereal. Would love to try it straight, but would definitely use it for baking cakes. OOppps! Just saw it was for Canada only! Me too! I signed in but I just saw it too. I would use it make smoothies. I would probably do both plus with baking! I love almond milk on my cereal and as a milk substitute when cooking/baking. I would drink almond fresh straight I love the taste!! It’s also creamy enough for my coffee! I would drink it straight as well as with other things. I think it would make really good smoothies with strawberries and bananas.